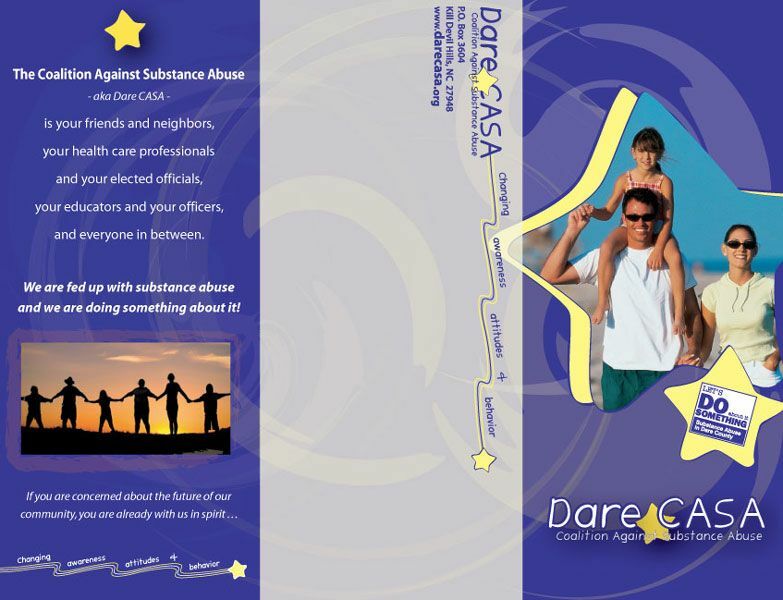 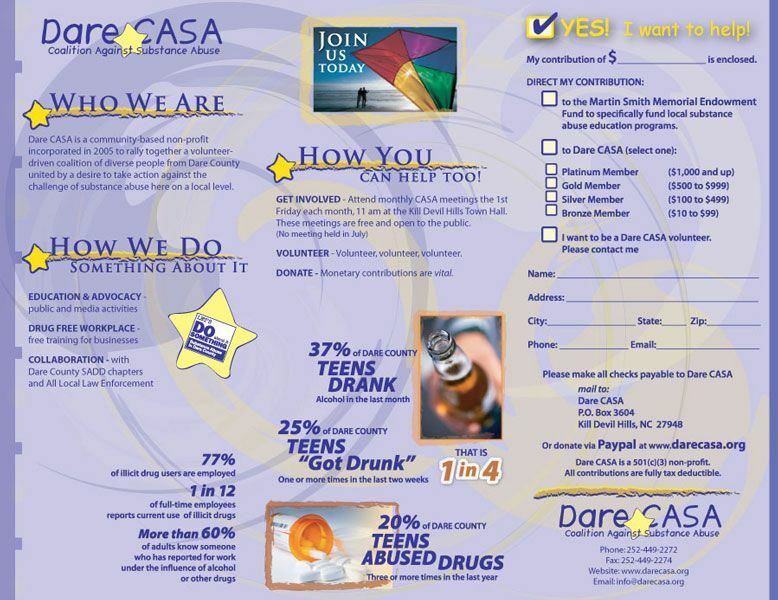 A friendly and inviting brochure that educates the Outer Banks local about substance abuse in the area and how to get help. 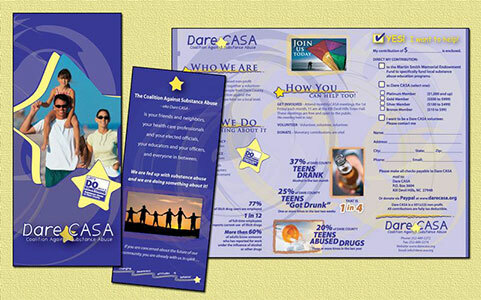 The brochure carries their logo and theme throughout. 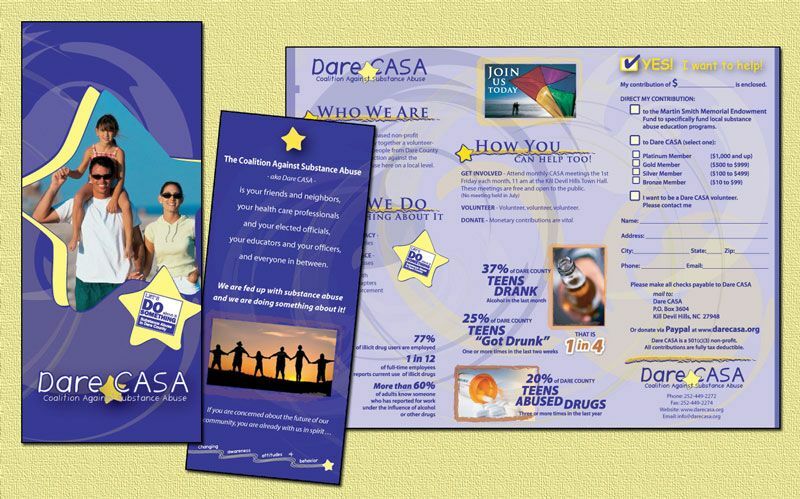 Building their brand awareness is critical to their mission.